Private 16150 William Reginald James Swatton, 1st Battalion, Royal Berkshire Regiment. Reginald was born on 25 February 1896, the son of Charles Swatton and his wife Elizabeth née Bushnell. He was baptised and registered as William Reginald James, and appears as William R J in the family’s entry in the 1901 census, but it seems that he settled on Reginald sometime thereafter. He had four surviving siblings: Francis Walter (born 1886), Charles George (1887), Rachel Joanna (1889), and John Stephen (1900). A fifth sibling, Mary (1891), died aged only 5 months. Unusually Reginald was still at school, aged 15, at the time of the 1911 census – most children were working by that age. A small number remained in education at grammar and public schools, aiming for professional careers; but Reginald was not among these, he was at an Industrial School in Clifton near Bristol. The name of the school suggests some form of technical education, but the reality was that this was a young offenders institution, Reginald and his fellows were listed as inmates not pupils. The reason for his sojourn in Clifton is not known; perhaps further research in the back issues of the local newspaper will uncover the story one day. When war was declared the Prime Minister (Herbert Asquith) appointed Britain’s most celebrated solder, Lord Kitchener, as Minister for War. One of his first jobs was to massively expand the country’s tiny army – the familiar posters with Kitchener pointing out at the viewer above the words ‘Your Country Needs You!” soon appeared everywhere. Over a million young men answered the call creating several new Armies (known as K1, K2, etc – K for Kitchener). 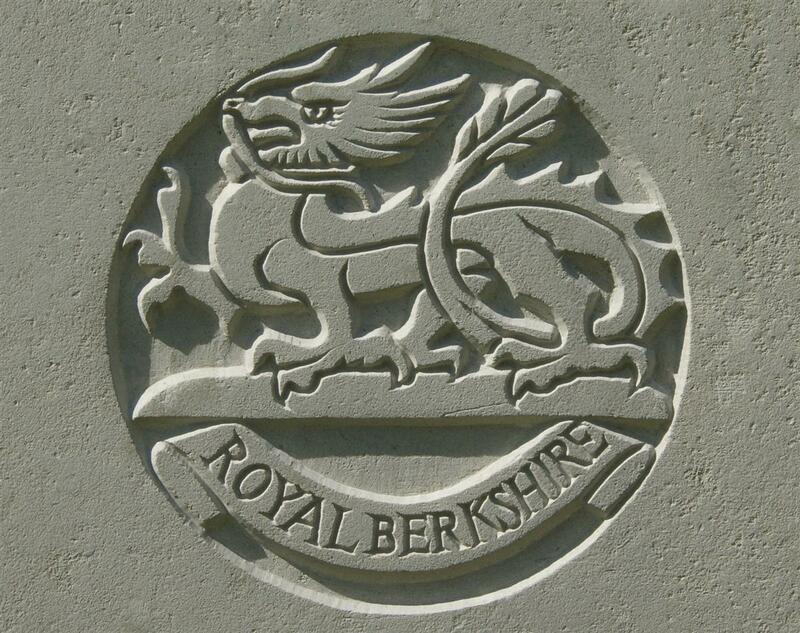 Reginald volunteered in early 1915 and opted to serve with the local infantry – the Royal Berkshire Regiment. He was posted to one of the new battalions created by the regiment. As the terms of service of the new ‘Kitchener’ recruits was different from the Regular and Territorial forces (for the duration rather than a fixed period) the new battalions were subtitled as Service battalions. So Reginald began his service with the 8th (Service) Battalion, Royal Berkshire Regiment. After months of training the 8th Battalion was detached from the brigade and division which it had been training with and was sent to France to join the 1st Brigade, 1st Division which had just lost two Guards battalions to the newly formed Guards Division. Naturally the men of the 8th Battalion saw this as a great honour – to be among the few selected from among over a hundred battalions in training to join a Regular Army formation in the place of one of the British Army’s most prestigious battalions. The 8th Battalion crossed the Channel on the night of 7/8 August 1915 and it was not long before they were in the thick of the action, taking part in the assault on Hulloch on the opening day of the Battle of Loos (25 September). The battalion suffered heavy casualties that day; it is possible that Reginald was among the wounded. Certainly he was transferred from the 8th Battalion to the 1st Battalion (a Regular Army unit) at some time – transfers from one frontline battalion to another at this date would commonly be the result of a break in service as the result of hospitalisation. Once recovered the soldier could be sent to another battalion in greater need of reinforcement than his old unit. He was with the 1st Battalion on 14 November 1916, when it took part in an assault on enemy positions near the village of Serre, at the northern extremity of section of the front along which the Battle of the Somme was fought. Reginald was one of three Newbury lads in the 1st Battalion who died that day (for a full account of the action see Fred Lawrence’s story); the third fatality was Ernie Ballard. Mr and Mrs Swatton, of Northcroft Lane, have received official notice that their second son, Reginald, reported missing on November 14th, 1916, is now presumed to have been killed. He joined the Royal Berks Regt early in 1915, and after the usual training was sent to France and while fighting at Beaumont he with many others met his death. For some time he was in the employ of Mr Tufnail, and will be thus remembered by many. His elder brother is now at Salonika, and the youngest with the 8th Dorsets at Bodmin, Cornwall. Wounded on the 7th of May last in Salonika, Pte G Swatton of the Royal Berks is now reported to be making good recovery, and hopes soon to be back with the boys of the 7th Battalion. He has been out nearly two years without any leave. He is the husband of Mrs Swatton, of Northcroft Lane, who has had three sons on active service, one of whom was killed in action. The wounded man is believed to be Charles George (known as George) Swatton, Reginald's brother, not their father – though the newspaper report seems to have confused the two! Mr and Mrs Swatton, of Northcroft-lane, Newbury, have now received undoubted evidence of the death of their son Reginald, who was killed at Beaumont Hamel on November 14, 1916. In addition to his disc, the interesting information is sent the parents that their son is buried in the British Cemetery at Waggon Road. The eldest son is now serving with the Royal Berks in Salonica. This suggests that his remains had been recovered and identified from his ID tags in early 1918. Reginald was buried in grave B.8 at Waggon Road Cemetery, Beaumont Hamel. 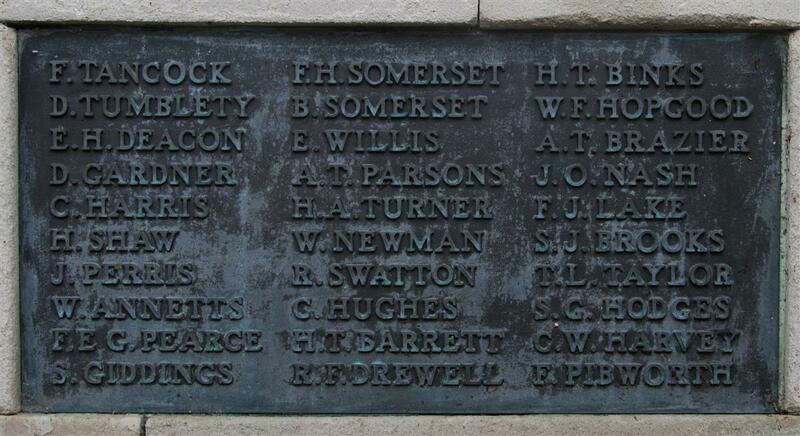 Locally he is remembered on Tablet 13 of the Newbury Town War Memorial (as R Swatton), the roll of honour and memorial board in St Nicolas’ Church (as J R Swatton), and the Congregational Church memorial (as Reginald Swatton).